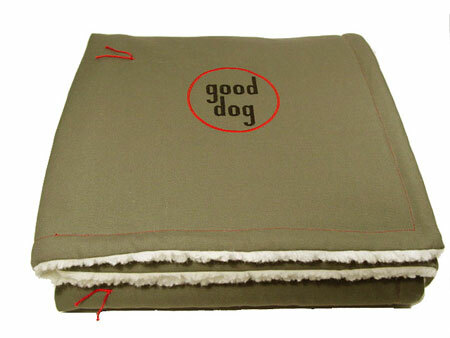 Cozy up to this: army-drab cotton embroidered with the “good dog” logo embroidered on one side in crimson and black, and lined with the softest, cream-colored sherpa on the other. Machine washable. 55″ square.